Whether sitting, running, standing, or jumping, a strong core is essential. This short but sweet class will assist you in toning, tightening, and strengthening your middle. You don’t have to be a ballerina to enjoy the benefits of our Barre class. This total body workout combines ballet moves, Pilates, core work, and light weights for a total body workout. It’s set to great music and is performed at a speed to maximize calorie burn. You won’t find any dance moves in this high intensity, sweat-inducing workout. If you are up for the challenge, join us for conditioning drills, high intensity cardio and strengthening exercises done outside, weather permitting. We’ll move it indoors if it’s raining sideways. Modifications offered for beginning, intermediate, and advanced levels. Grab some gloves (or borrow ours), and get ready to hit our explode zone, heavy, and light bags. A great workout and stress reliever for men, women, and kids. This class combines a variety of cardio styles including step, bosu, kickboxing, agility drills, and more. Adapted to every fitness level, this class is an exciting workout to challenge your cardio fitness. This gentle form of yoga is practiced sitting on a chair or standing using a chair for support. Frequently the chair yoga student is unable to participate in a traditional yoga class due to the effects of aging or disabilities. However, Chair yoga is a great practice for everyone, as it deepens flexibility and strengthens personal body awareness. A low intensity class designed to strengthen your core and back, while also focusing on balance. This class will take your core workout to the water. We use 10 foot long paddle boards in our pool, which makes your footing unstable. The result—you have to engage your core more in order to keep your balance. Spots for this class are limited, so call the Y to reserve one. HIIT, or high-intensity interval training, is a training technique in which you give all-out, one hundred percent effort through quick, intense bursts of exercise, followed by short, sometimes active, recovery periods. This type of training gets and keeps your heart rate up and burns more fat, in less time. Are you short on time? Our HIIT workout is condensed into 30 minutes. Perfect for those who want to maximize their workout time. Our HIIT Express classes are followed by 15 minutes of ab work for those that want a little something extra. You don’t have to be a kid to enjoy this class. Grab one of our hoops, and play your way through a cardio and strength workout. This holistic exercise experience blends cardio-hooping and strength training with high intensity interval training based on elements of Pilates, yoga, and ballet barre. The FXP Hula Hoop® is precisely sized and weighted to help users shed pounds, lose inches from their waistline, and sculpt their entire body, all while smiling. Achieve calmness, clarity, and mindfulness with our 30 minute guided meditation. If you need to slow down, center yourself, or reduce stress, this is your class. Children can experience, explore and test the aquatic environment by responding with body movements, toys, and songs, with the assistance and encouragement of their parents. Parents must be able to enter the water with their child to participate. Swim diapers are required. Experience a new form of yoga using stand up paddle boards. This activity is done in our pool and provides an invigorating twist to traditional yoga. If you’re new to yoga, we suggest trying a yoga class prior to our board class. Boards are limited, so call the Y to reserve a spot. This mat class will improve muscular strength, endurance, flexibility, and overall joint mobility. The exercises reduce stress, increase energy, and increase stamina. Small apparatus like light weights, balls, and rings are used in some classes. Who says you have to jump, grunt, strain, and punish your body to get amazing results from your workout? Not with PiYo. PiYo combines the muscle-sculpting, core-firming benefits of Pilates with the strength and flexibility advantages of yoga. And, we crank up the speed to deliver a true fat-burning, low-impact workout that leaves your body looking long, lean, and incredibly defined. Instead of listening to music, you become the music in this exhilarating full-body workout that combines cardio, conditioning, and strength training with yoga and pilates-inspired movements. Using Ripstix®, lightly weighted drumsticks engineered specifically for exercising, POUND® transforms drumming into an incredibly effective way of working out. A high-voltage workout with resistive equipment. Muscle strength and endurance are the goals of this class. No dancing or any other choreography allowed. Show up ready to sweat and pump some iron. The body you have is the body we want — and that’s the body at work! No matter your size, shape, age or experience, REFIT® is the perfect fit for everybody and every BODY. We believe you’re worth the workout, and we’ll be with you every step of the way. Join this dance-based exercise class. REV+FLOW is a dynamic workout that’s easy on joints without compromising the intensity of the workout. REV+FLOW strengthens bodies and sculpts muscles through targeted, music-based movements and resistance training. Be challenged in new and unique ways through easy-to-follow movements and uplifting music. All fitness levels welcome. RIP is a barbell workout that incorporates functional orthopedic strength training. Every movement plane is attacked using weights and bodyweight. Our restorative Pilates classes are great for beginners, those that have been out of exercise due to illness or injury, and seniors. A restorative yoga sequence typically involves only five or six poses, supported by props that allow you to completely relax and rest. This class is the perfect end to a stressful week. Great music and motivating instructors will have you spinning round and round on our state-of-the-art Schwinn Carbon Blue bikes. Begin again with this low impact aerobics class designed for those new to aerobics, those starting back, and senior adults. We combine low impact cardio with muscle conditioning, strength, flexibility, and balance segments to help enhance overall conditioning. 45 minutes of functional fun using barbells, dumbbells, and plates will help you become stronger overall. End your week unwinding outdoors as the sun sets with a vinyasa fusion flow. Gather in the lobby, then we’ll move outside to a peaceful spot. If it’s raining, join us still, as we’ll bring class inside to Studio 1. Tai Chi-style, internal martial arts class with no impact movements. Stretching, breathing & Qi Gong are all major components of this class. Total Body Fit is a total body strength and cardio workout. Think floor aerobics, interval training, HIIT training, Tabata, and boot camp, using body weight, steps, kettle bells, bands, free weights, but modified for all fitness levels. Push yourself to new levels of strength using the TRX Suspension Trainer. Be ready to “feel the burn” as you power through multiple sets of high tension loads in this time-based workout that features intermediate to advanced strength exercises. Looking for a perfect blend of strength and cardio? TRX Cardio/Combo addresses the foundations of improving your cardiovascular endurance, building muscular endurance, and promoting weight loss. You’ll experience TRX rounds, followed by a cardio challenge. Aerobic conditioning is performed in the pool with little or no impact. Work is done in both shallow and deep water. This class will also help develop strength, flexibility & joint mobility. We offer two levels of water aerobics classes in order to teach to all fitness levels. Come alive with this invigorating class designed to improve balance and healing, while emphasizing strength and flexibility. Yoga is about working hard, sensitively. Beginners are encouraged to start with the Level I class or Restorative class. If you like to dance, you’ll love Zumba. Zumba is a Latin-based floor aerobics class, taught to great music. All fitness levels are encouraged to attend. Age appropriate music and moves make this kids’ dance class a huge hit! This class focuses on increasing a child’s cardiovascular strength, physical ability, and self-esteem through fun activities and play. Kids learn to move using proper mechanics, which translates to better health, physical conditioning, and less obesity. Research also indicates that regular exercise increases a child’s academic performance. This class is mostly outdoors, so please dress your child appropriately! This class is based on different events from the AAU and USA Weightlifting. Kids are grouped based on age and ability. Children are first taught technique using little to no weights, then they are slowly introduced to all of the other barbell movements. Next, agility and stability exercises are introduced, then kids progress to light lifting. We also offer a competitive option for those that want to compete; however, kids are never required to compete. 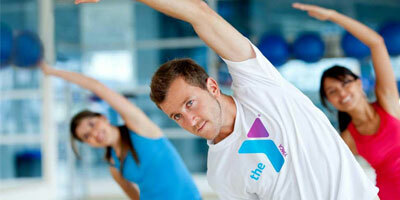 Poses, breath work, songs, and creative dance make up this fun, invigorating class for kids. Play and bonding are the focal points of this class. Take time out of your busy day to do something fun for you and your child. Meet parents like yourself, and let your child learn through play. Perfect for our younger Zumba® fans! Kids get the chance to be active and jam out to their favorite music. Routines are based on original Zumba® choreography. We break down the steps, add games, activities and cultural exploration elements into the class structure.